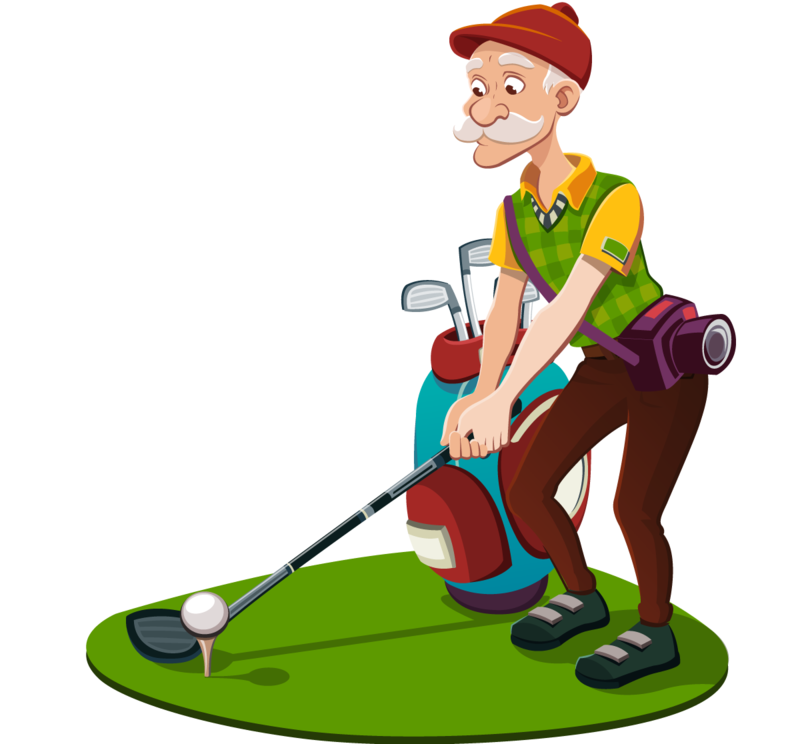 The golf season is in full swing and this week brings us the first major tournament of the year. Whether you’re a player or a spectator, B&H has the goods to complement your enjoyment of the game, ranging from cameras for your golfing vacation to binoculars for tournament viewing, as well as a host of other accessories to enhance your round. As a golfer and as someone who works at B&H, one of the most frequently asked questions I hear on the course is, “What’s a good camera to bring with me while golfing?” Even though smartphones have stepped up to the plate in recent years as the camera you have with you at all times, there’s still merit in having a dedicated camera to carry with you during your round. Beyond the imaging pluses of a larger-sized image sensor, a better lens design, and optical zoom (opposed to the digital zoom of most phones), cameras also tend to have a simpler interface that better suits a shoot-while-you-play mentality. If you’re on a once-in-a-lifetime trip to the Monterey Peninsula or the links of Scotland, it’s much easier to hand your caddy a dedicated camera to get your group shot rather than fumble with the lock screen of your phone. There is also merit in staying off your phone while playing—allowing you to focus more on your game than your unread messages and notifications. Or if you’re a spectator at a certain major tournament held in Augusta, Georgia, where cell phones are banned, then a dedicated camera will be the only way to bring home some photos of those practice rounds early in the week. One of the most versatile options for a golfer has to be the Sony RX100 VI. This pocketable powerhouse is the latest-generation model in the venerable RX100 series, and with its most recent updates, it is the best option for golfers. The most significant difference between the VI and previous models is the 8.3x zoom range, compared to the 2.9x zoom of most older versions, that now spans wide-angle to true telephoto fields of view. This added reach comes in handy when photographing par 3s or other architectural elements of a hole from a distance because it lets you isolate your subject and put more focus on what you want to take a photo of, rather than just seeing a tiny green in, well, a swath of green. Besides the lens, the RX100 VI will fit in your golf bag perfectly without weighing you down; it has an electronic viewfinder to help on those bright days; and Wi-Fi and Bluetooth for posting your photos of the day from the clubhouse after the round. Also a boon for golfers is High Frame Rate video recording, which lets you shoot high-speed video between 120 fps to 960 fps, so you can record your swing on camera and then analyze it in slow motion during playback. For golfers traveling to Scotland, Ireland, Northern Ireland, or really anywhere where rain is likely and expected, another option to consider is a tough camera. While not as well-spec’d in terms of imaging as something like the RX100 VI, a tough camera could be a necessity if you find yourself playing in rain but not wanting to give up on documenting your round. 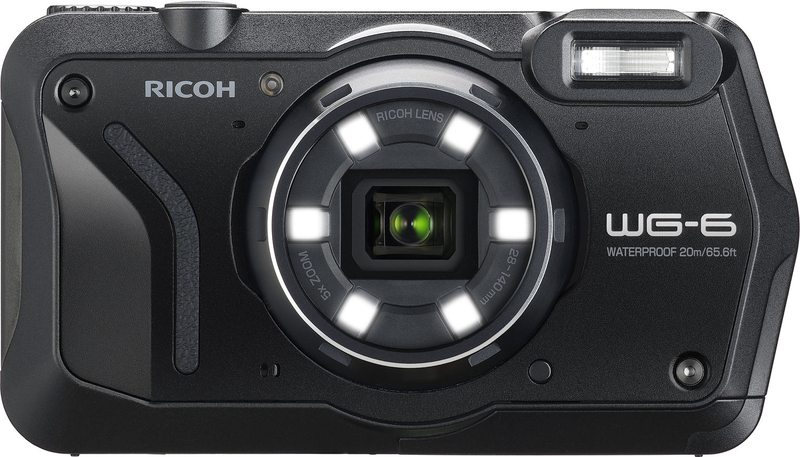 The Ricoh WG-6 has more than enough water-resistance for a rainy round along with a high-resolution 20MP sensor, 4K video recording, and built-in GPS. Another unique option is the Sony RX0 II, which is something between a tough camera and an action camera. 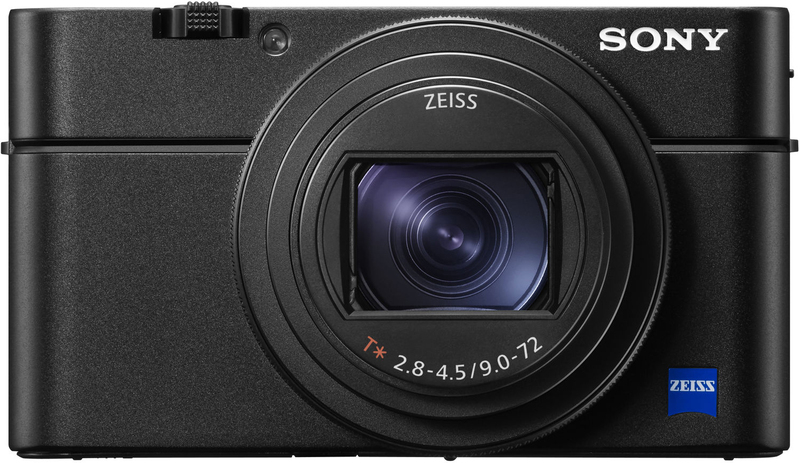 It offers many of the imaging capabilities of the RX100 VI, but in a more petite and weather-resistant shell. It’s also perfect for those vlogging golfers out there. 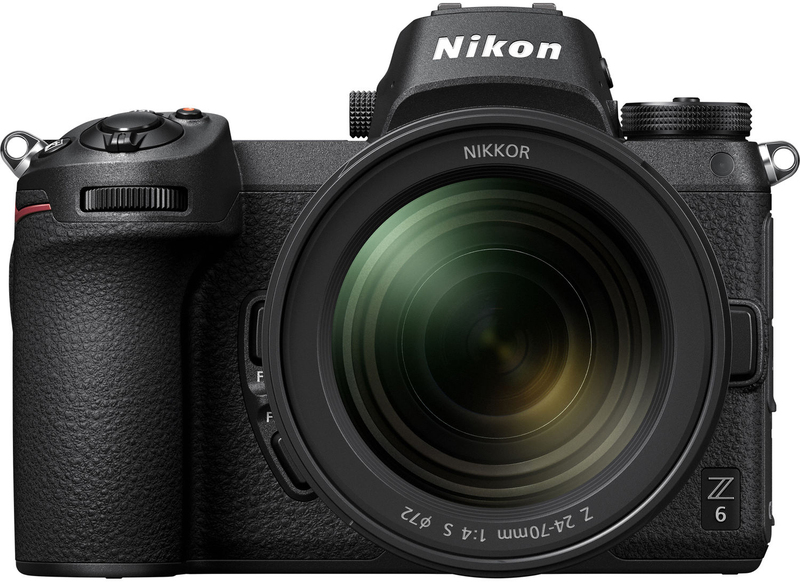 Now, if you’re on the spectator side, and are allowed to bring a full-size camera to the event, you should look at the crop of recent full-frame mirrorless options, such as the Nikon Z 6, Canon EOS R, or the Sony a7 III. Besides this being the current hotbed of camera development, full-frame mirrorless cameras offer an ideal balance between image quality and portability. They are relatively compact and lightweight enough for carrying around all day with a single lens, and can yield some incredible shots of the pro tracks. Also, one notable benefit over DSLRs is that mirrorless cameras have the option for truly silent shooting using an electronic shutter, which allows you to photograph freely while the players are swinging. If you’re fortunate enough to find yourself in Augusta this week for the first major of the year, where phones and cameras are not permitted during the tournament rounds, your best option to aid in viewing is a binocular. And unless you’re set on taking pictures of the players or the course, the same can be said for any other tournament week, where you’re looking to just find a nice seat behind the 18th green, but still be able to watch players hit their tee and approach shots. Looking to arrive at the tournament in style to match the opulence and class of the course itself? Take a look at the Leica 8x20 Ultravid, available also in classy black with black leather and silver with black leather finishes. 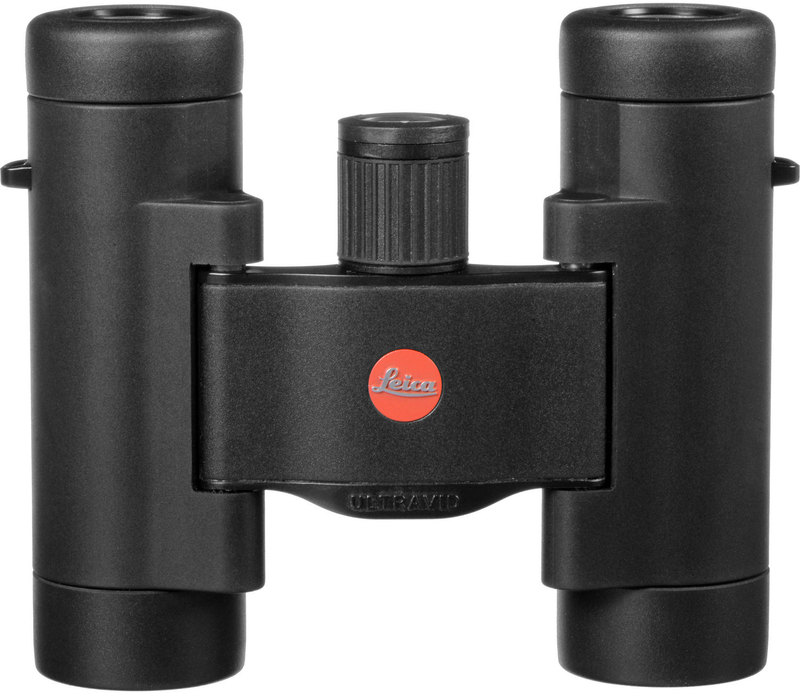 This compact binocular features phase-corrected BAK4 roof prisms, uses Leica’s HighLux system, and has HDC fully multi-coated optics to present bright, natural viewing. AquaDura coatings are also used to aid in cleaning in case of rain or smudging. Similarly compact is the Swarovski 10x25 CL Pocket Binocular, which has a unique dual-hinge bridge to allow the barrels to fold underneath the bridge for sleek folded dimension of 4.3 x 2.5 x 1.8"; perfect for carrying around the course sans bag. The 10x magnification is suitable for watching players hit their tee shots if you’re standing up by the landing zone, and the 8.2' minimum focus is great for greenside viewing. 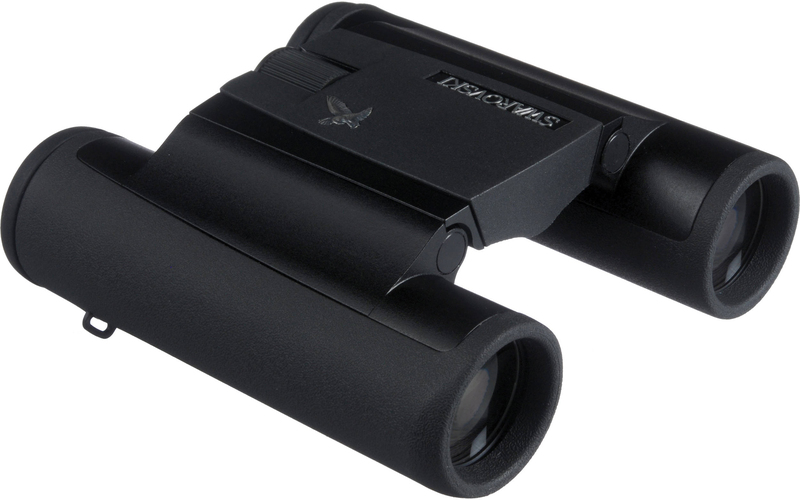 Some other models worth considering are the Hawke 10x42 Frontier ED X, which is perfect for spectating from all regions of the course; the Opticron 10x42 DBA VHD+, which also has 10x-magnification along with the field-flattener lens system to help reduce distortion; and the Vortex 10x42 Fury HD Laser Rangefinder Binocular, which incorporates a 1600-yard laser rangefinder into the design so you can see precisely how far the pros hit it. Moving from spectating to playing, one of the most useful accessories to have with you on the course can be a laser rangefinder. Gone are the days of pacing-off from sprinkler heads, rangefinders let you dial-in your yardage from anywhere. They’re perfect for figuring out how far that bunker is from the tee, as well as how long your approach shot is. And besides that, rangefinders are legal for most amateur use and they are a great way to speed up a round. 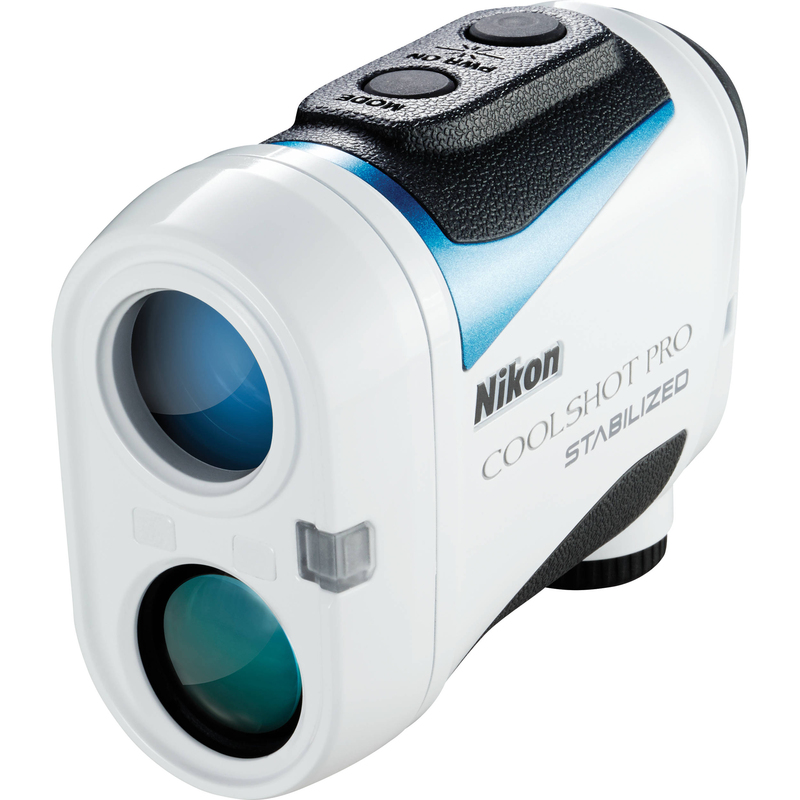 The Nikon COOLSHOT PRO Stabilized is a fully featured 6x21 laser rangefinder, capable of measuring up to 1,200 yards; way farther than your longest drive. Indicated by its name, an optical stabilization system helps to reduce the effects of hand shake for more accurate ranging of distant targets. For friendly rounds and practice rounds, ID (Incline/Decline) technology can give you slope-adjusted distances, in addition to actual distances, which can help you learn how many clubs uphill or downhill a specific shot is. For competitive rounds, this feature can be deactivated, which will be indicated by a blinking green LED light on the front of the rangefinder. 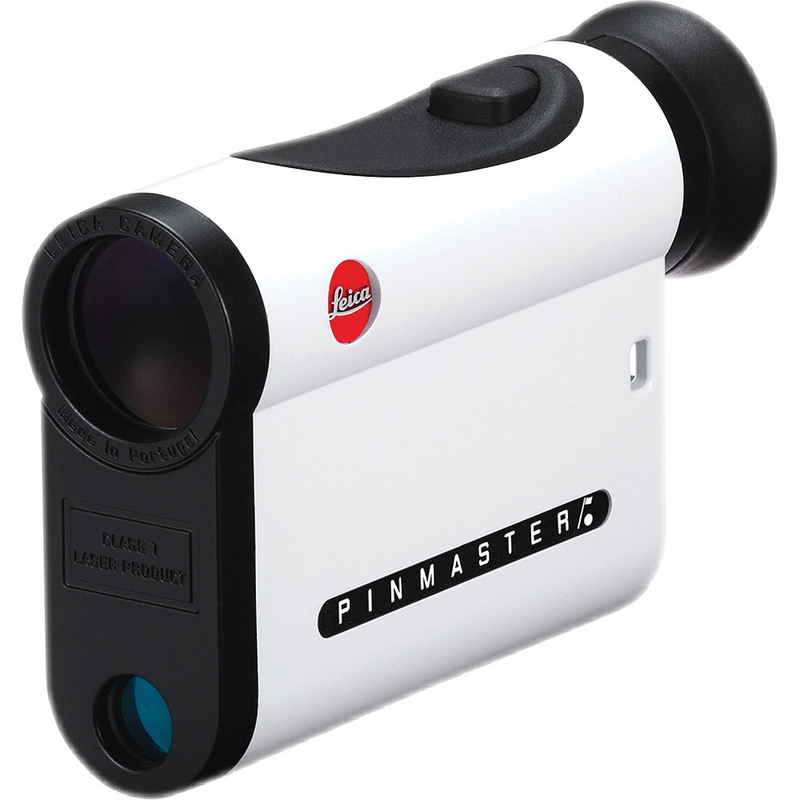 Featuring a more streamlined feature set, there is also the Leica Pinmaster II, which houses a 7x24 monocular along with a laser rangefinder that is accurate up to 825 yards. The larger-diameter objective lens offers bright, clear viewing, and First Target Logic intelligently displays closer target distances to help differentiate between the flagstick and the trees behind the green. Even more sophisticated than a laser rangefinder, Garmin has a variety of tools to get you around the course and track your shots to help improve your game. The Approach S40 Golf Watch provides you with helpful information, via GPS, on more than 41,000 pre-loaded courses. Using the 1.2" color touchscreen, you can quickly check distances, the shape of the green, and keep score, and the touchscreen design also lets you drag the pin to the specific hole location of the day for even more accurate results. Additionally, pair the S40 with CT10 Club Sensors for recording club stats to help analyze your shots during or after the round. 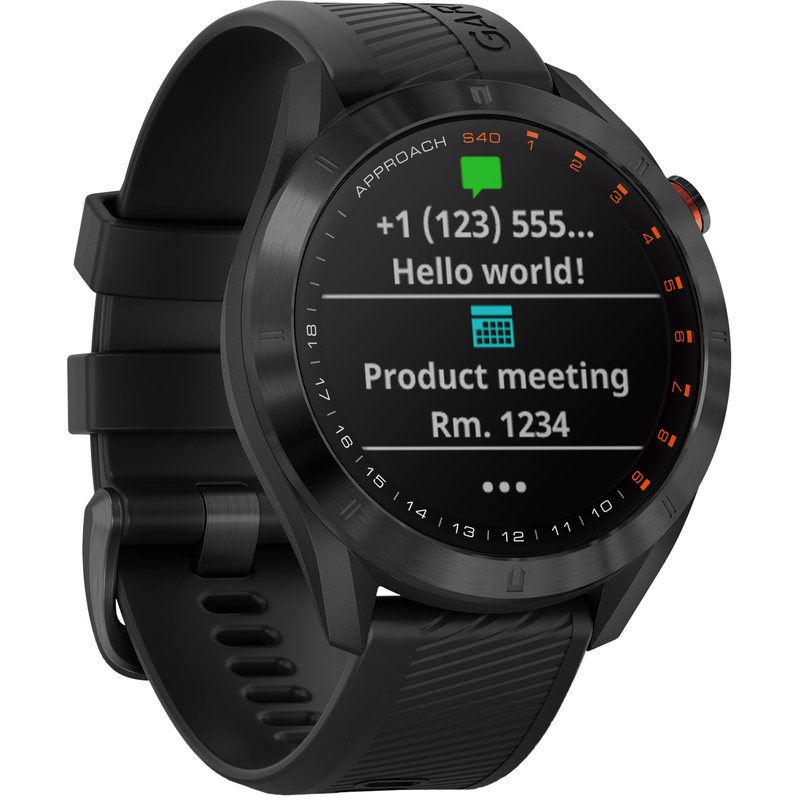 If you’re looking for a bit more functionality or if you would prefer not to wear a watch, there is also the Approach G80—a handheld GPS device and launch monitor. Besides incorporating the same data on 41,000+ courses, and featuring a 3.2" color touchscreen, this device can also be used to record your clubhead speed, ball speed, tempo, and estimated shot distance. Moving away from tech, B&H also carries a necessity for all golfers: a divot-repair tool. 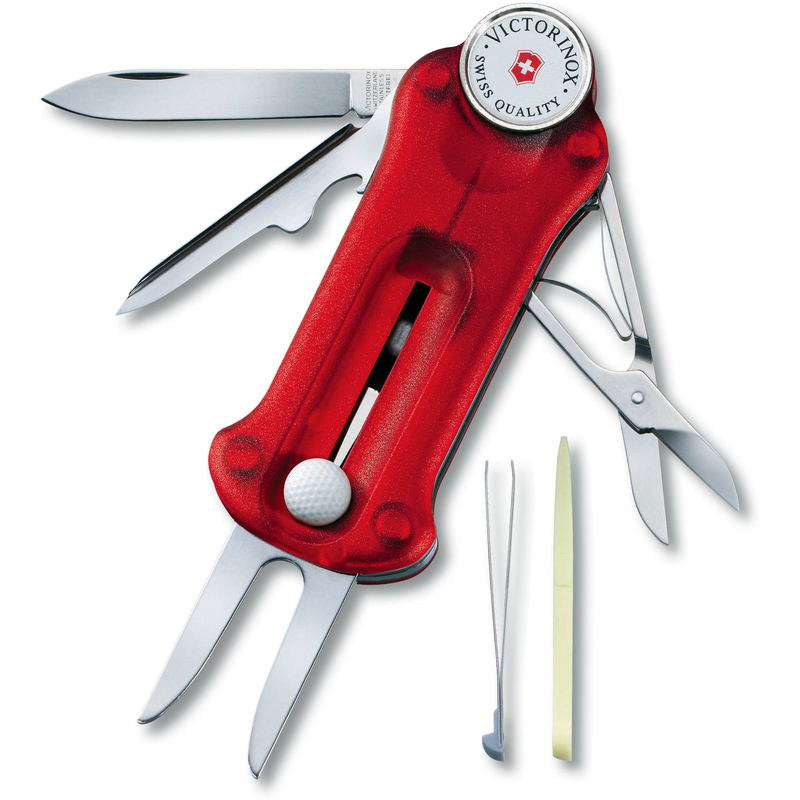 Specifically, the Victorinox GolfTool, which is about as versatile as a repair tool could get. Besides the retractable divot-repair tool, the GolfTool also has a magnetic ball marker and groove cleaner, along with a small blade, scissors, tweezers, and a toothpick. Finally, and perhaps most surprisingly, B&H also carries a line of travel cases from SKB. These hard cases are perfect for airline travel and come in a variety of sizes to hold anything from your average stand bag to a staff-sized cart bag. Also worth pointing out is the unique Roto Sunday Travel Case, which is modeled after your typical Sunday bag for carrying up to eight clubs for those times when you just want to hit a few balls or play an executive course while traveling. Do you have any favorite tech or tools that you bring along on the golf course? What kinds of things do you bring for watching a tournament? And do you have a camera recommendation for when you’re playing golf? Let us know in the Comments section, below. My wife and I went got practice round tickets in 2015 for the tournament in Augusta. I chose a practice round so I could bring my cameras, a Canon 5D III with a EF 100-400mm f4.5-5.6L II lens, and a Canon New F-1 with FD 28mm f2.8. That 100-400 lens was awesome! I was in the bleachers at the back of the course and some bankers from North Carolina questioned me about the 5D. I passed the camera to them and the clubhouse was visible from the back edge of the course. I did a spot check of various tournaments; all allow cameras during the practice rounds, but they are not allowed during tournament competition. Be sure to check the tournament's web site to see if there are any additional restrictions, such as length of the lens. I think that the tournament after the one in Augusta, the one in Hilton Head, SC, has a lens length restriction of 6 inches; but I don't see that restriction of 2019. For those that allow cell phones, the cell phone must be in silent mode.